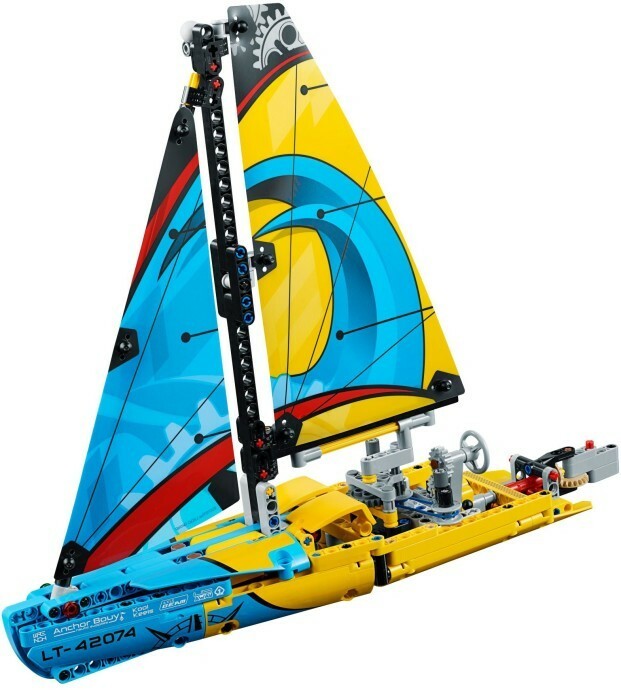 Enter the world of water sports with this amazing LEGO® Technic Racing Yacht, featuring a sporty yellow and blue color scheme with maritime racing stickers, colorfully printed sails with lines and winches, and a detailed hull. Turn the ship’s wheel or move the tiller to operate the rudder and wind the winches to move the sails. 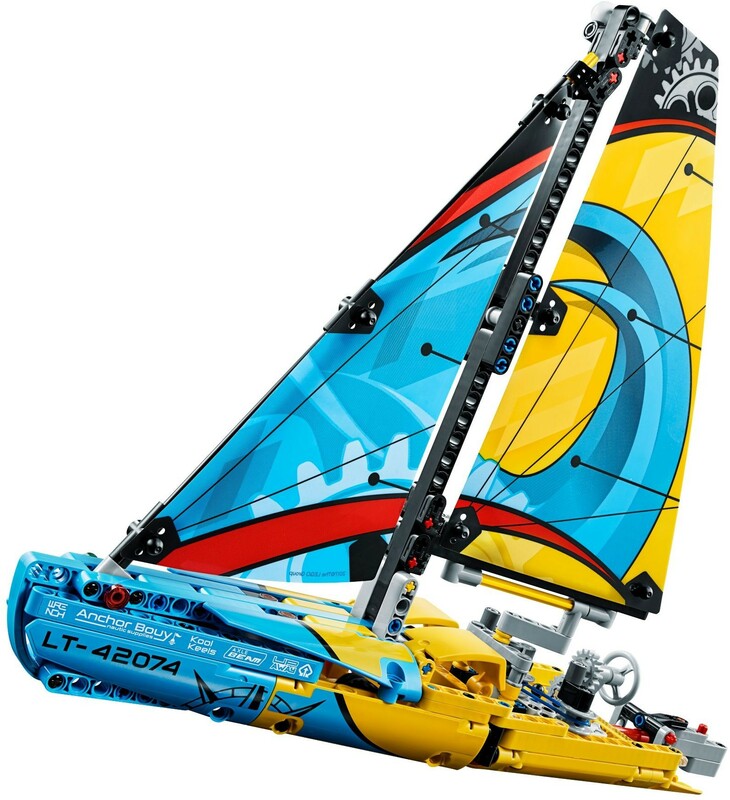 This sturdy 2-in-1 advanced building set can be rebuilt to create a highly detailed Catamaran. 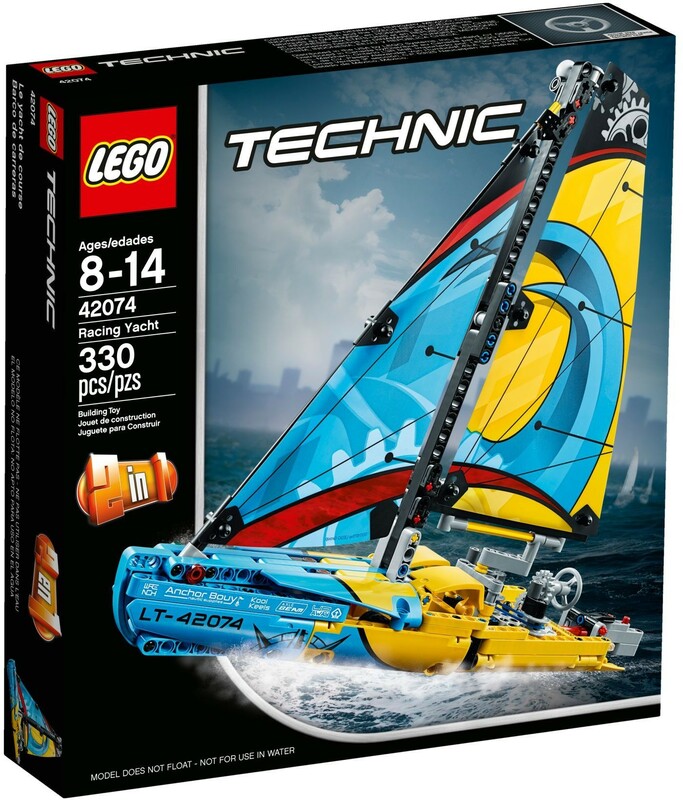 Racing Yacht measures over 11” (29cm) high, 14” (36cm) long and 3” (8cm) wide. 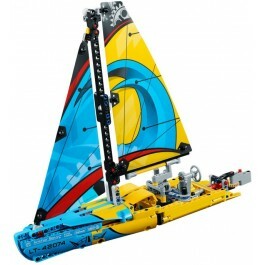 Catamaran measures over 10” (27cm) high, 12” (31cm) long and 4” (11cm) wide.